Knouse Members vote to ratify 3-year agreement! SYSCO Members vote to ratify new union contract! Giant Eagle Workers Ratify New Contract! Welcome new Wine & Spirits Store Members! Mission Foods Workers Approve First Union Contract! 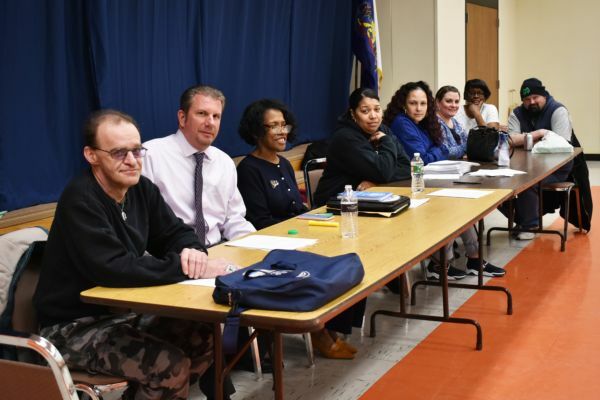 READING (April 2, 2019) - On April 2nd, Berks Heim nursing home employees represented by United Food & Commercial Workers Local 1776 Keystone State overwhelmingly approved a new five-year contract agreement today that preserves long-term, quality resident care and ensures long-term job security for hundreds of Berks Heim members who serve the Berks County community. KNOUSE FOODS Members Ratify a New 3-Year Agreement! Contract ratified! Last week, Knouse Foods members voted to ratify a new 3-year union contract. The new agreement includes wage increases, improved non-discrimination language, additional paid sick time, and locks in current healthcare rates. Knouse Foods members make a variety of products, including Lucky Leaf pie fillings and Musselman's Applesauce. Union strong. Attention all UFCW Local 1776KS members, We have recently made changes to the Local 1776KS union office phone systems. Western Division A new phone directory feature has been implemented at the Western Division office, allowing you to reach your union representative's direct phone line faster. The AFL-CIO has announced their 2019 Scholarship Essay Contest! 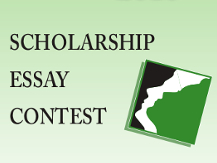 The Essay Contest provides an opportunity for high school and post-secondary students to learn about the Labor Movement’s important contributions to the social, economic, and political development of our county. 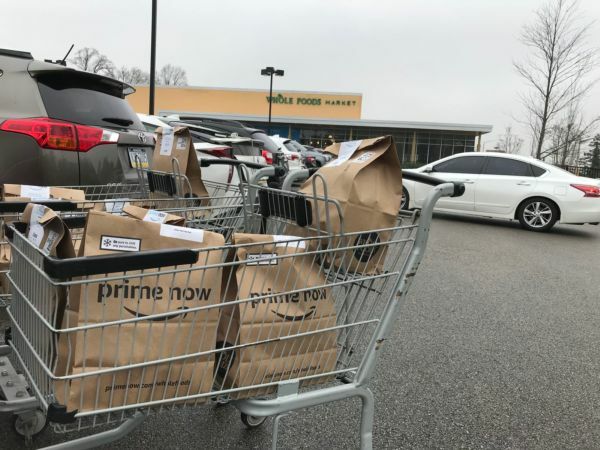 Posted January 9th, 2019 ShopRite, Acme closings: The disturbing tradeoff when all we want is cheap groceries, delivered fast By: Maria Panaritis This article originally appeared on philly.com There is no such thing as a free lunch. Especially if it's an online order that comes with speedy delivery from Amazon. October 30th - UFCW Local 1776 Keystone State members who work at 11 Kroger stores in Ohio and West Virginia ratified a new contract on October 30th. Approximately 1,200 workers are covered by this contract, which includes wage increases and preserves health insurance and pensions. 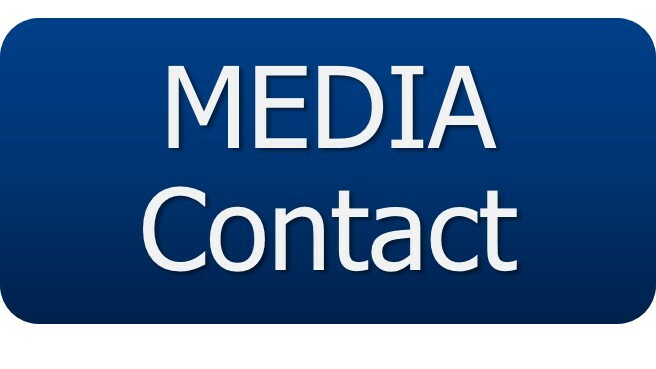 Kroger Members, To ensure you are staying up to date on the latest Kroger information, please log in to our website and verify that your phone number and email address are correct. You may log in by clicking the member resources tab and clicking log in. You should already be registered on our website. 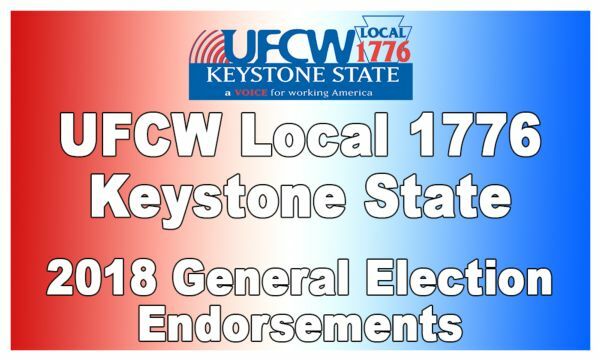 UFCW Local 1776 KS General Election Endorsements. UFCW Local 1776 KS wants to wish you and your loved ones a safe and happy Labor Day. Labor Day reminds us of the important contributions working men and women through their labor unions have made to build a better life and stronger communities for all of us. PITTSBURGH - On August 8 and 9, Pittsburgh area Giant Eagle Team Members represented by United Food & Commercial Workers Local 1776 Keystone State overwhelmingly approved a new three year contract that improves wages and benefits for thousands of Giant Eagle Team Members who serve Pittsburgh area customers. Giant Eagle Members, I am pleased to announce that Giant Eagle members have overwhelmingly voted to approve a new 3-year union contract, retroactive to July 1st, 2018. UFCW Local 1776 Keystone State Secretary-Treasurer Michele Kessler was named a commissioner on the first statewide LGBTQ Affairs Commission! 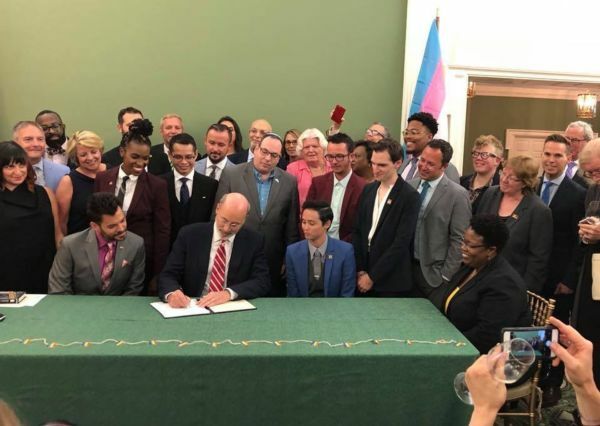 The executive order was signed by Governor Tom Wolf on Monday, creating the Pennsylvania Commission on LGBTQ Affairs, the only one in the nation. Giant Eagle Contract Meetings Scheduled! 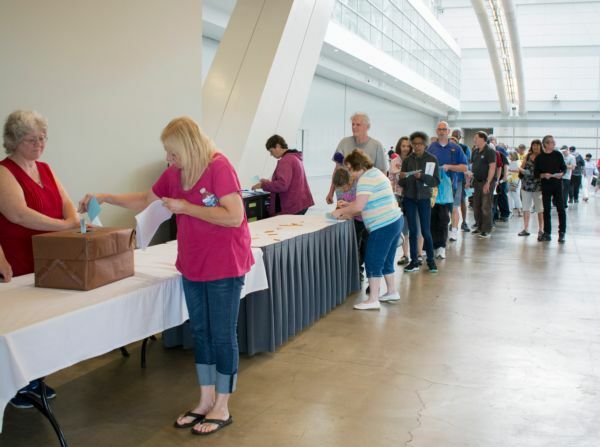 Dear Giant Eagle Members, Thank you for your patience while we arranged meeting locations for the purpose of considering and voting on the tentative contract agreement with Giant Eagle. This tentative agreement is the result of months of contract bargaining and has been unanimously recommended by your bargaining committee. Join us for a conversation with Congressman Cartwright! 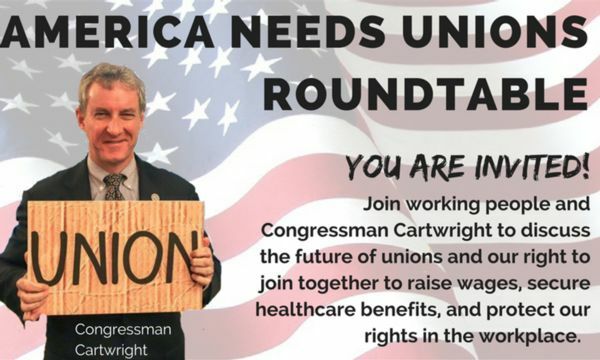 Join us on Saturday, July 21 at 1 PM at the UFCW Local 1776 KS Northeast office, located at 2007 Hwy 315, Pittston, PA, for a roundtable with Congressman Cartwright, local working people, and community leaders about how we can all work together to unrig the economy and turn low wage jobs into the good, union jobs our families and communities need. PA needs unions. 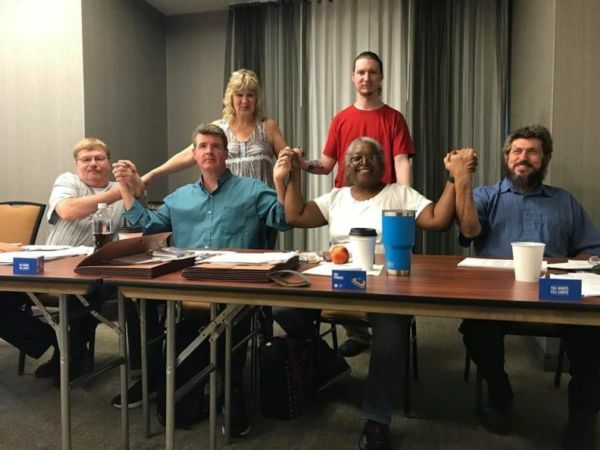 Giant Eagle Members, As you know, your bargaining committee and Giant Eagle reached a tentative 3-year agreement in the predawn hours of July 13th – less than a week ago. 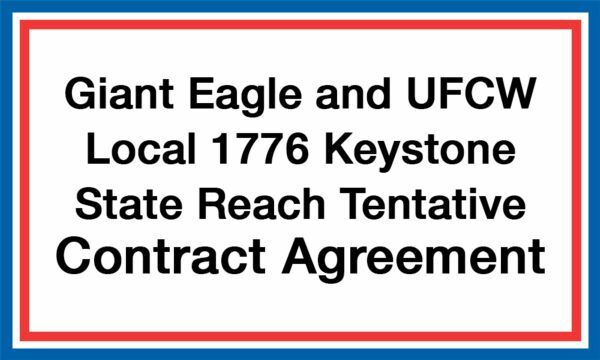 PITTSBURGH (JULY 16 2018) After months of serious and deliberate contract negotiations, Giant Eagle and United Food & Commercial Workers Local 1776 Keystone State announced they have reached a tentative, but mutually beneficial contract agreement. Members who work at any of these locations, as well as their dependents – can submit the preliminary application now through December 31! 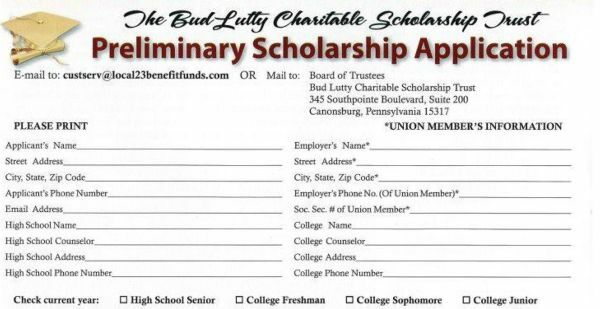 You may either print and mail the application, or send the required information to the e-mail address on the application (custserv@local23benefitfunds.com). Giant Eagle Tentative Contract Agreement! Giant Eagle Members, We are happy to tell you that after months of contract negotiations, your bargaining committee has reached a tentative agreement with Giant Eagle for a new 3-year union contract. Your bargaining committee unanimously supports this tentative agreement and recommends it for member ratification. Giant Eagle members, We want to inform you that we have continued contract negotiations with Giant Eagle through today in an effort to reach a negotiated settlement. While we have made progress during negotiations over the past few months, we still have a number of important issues left to negotiate. Today, the Supreme Court released their ruling on Janus v AFSCME, ruling in favor of Janus and a few wealthy anti-union, anti-worker organizations that speak for the minority of Americans. This decision favors the interests of the rich and powerful in a case funded by anti-union entities and special interests. They have attempted to take power away from YOU, the worker. 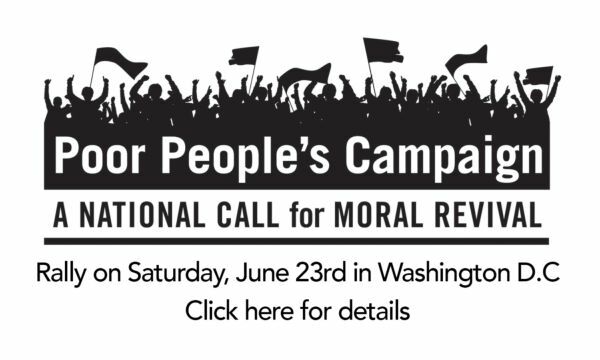 Poor People's Campaign on Saturday, June 23rd! UFCW Local 1776KS Members, I would like to invite you to attend the UFCW International Union's Poor People's Campaign Rally on Saturday, June 23rd at 10 AM in Washington D.C. Wear your UFCW gold shirts and join us as we rally in support of the Poor People's Campaign. Limited transportation is available. 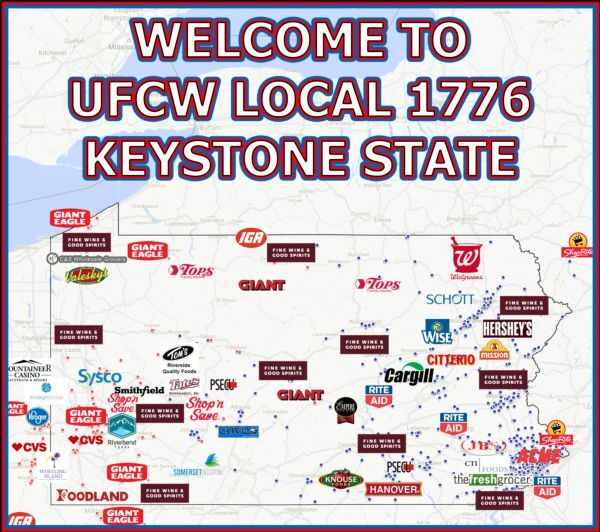 To the members of UFCW Local 1776 Keystone State, Welcome to UFCW Local 1776 Keystone State! As of May 1st, your union now represents over 33,000 hardworking members from Pennsylvania, West Virginia, Eastern Ohio, and New York. 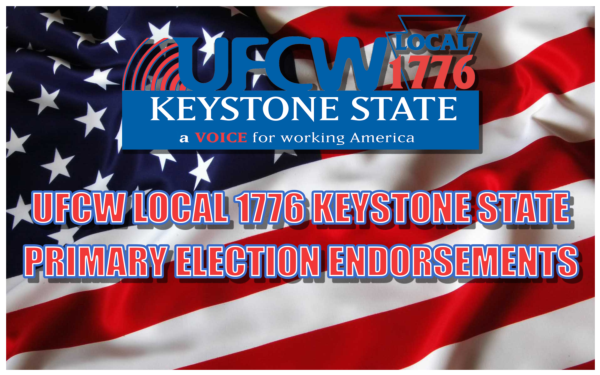 Local 1776 KS represents workers in grocery, retail, packing & processing, chemical workers, health care, medical cannabis, public sectors, and more. Mission Foods Members Approve First Union Contract! On April 13, 2018, workers at Mission Foods in Mountain Top, Pennsylvania, voted with a 60% majority, to approve a 3-year contract and officially join United Food & Commercial Workers, Local 1776. Mission Foods workers make a full line of Mexican food products, including tortillas, wraps, and other goods used in restaurants and sold in supermarkets across the globe. CMCVAMC operates Community Based Outpatient Clinics in Burlington County, NJ, Gloucester County, NJ, Horsham, PA (Victor Saracini CBOC), and a clinical annex in Camden, NJ. In addition, two off-site care locations include the Snyder House Residential Rehabilitation Treatment Program and an outpatient Dialysis Unit in Philadelphia. On April 4th, 2018, members of the UFCW Community Federal Credit Union voted unanimously to ratify a new three-year contract agreement. The new contract awards across the board yearly wage increases, a one-time longevity pay raise for members that have reached 10 years of service, expanded non-discrimination language, maintains health coverage with Geisinger, and offers a lower co-pay incentive for members that utilize a Geisinger designated Proven Health Navigator (PHN) primary care practice. Hershey Chocolate is expanding! 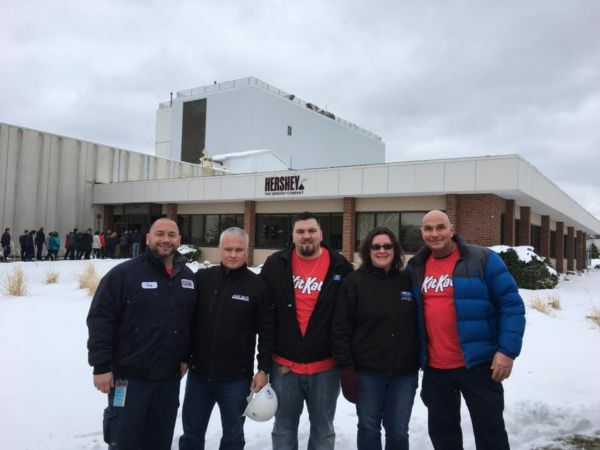 The Hershey Company is expanding Kit Kat manufacturing at the UFCW Local 1776 represented facility in Hazleton, PA. The $60 million-dollar project will bring with it over 100 new Hershey employees once completed. A groundbreaking ceremony commemorating the expansion was held on Friday, March 9th, 2018, where Todd Tillemans, President of Hershey’s U.S.
(12/05/2017) - Today UFCW Local 1776 visited Empire Kosher to encourage members to sign postcards opposing the National Chicken Council's petition to exempt certain poultry facilities from line speed regulations. We must oppose this petition to protect our workers! 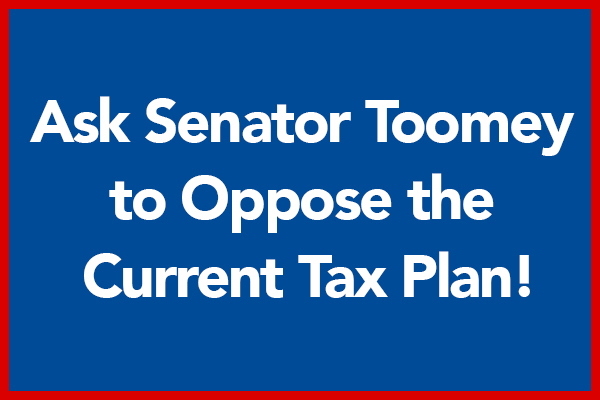 Ask Sen. Toomey to oppose the current tax plan! Local 1776 member, The United States Senate is rushing an irresponsible and reckless tax plan through Congress this week before taxpayers and middle-class families realize the impact it will have on their pocketbooks over the next decade. To be clear, this is not a political party issue. This is an issue of what is best for you and your family. Craving for your chocolate fix? Support your brothers and sisters who make union-made candy. 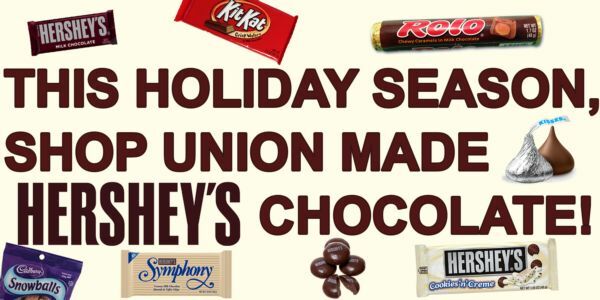 Members of UFCW Local 1776 and BCTGM (Chocolate Workers) Local 464 proudly make union made Hershey candies right here in Pennsylvania. Don’t be misled by misinformation that Hershey has outsourced all of its products. 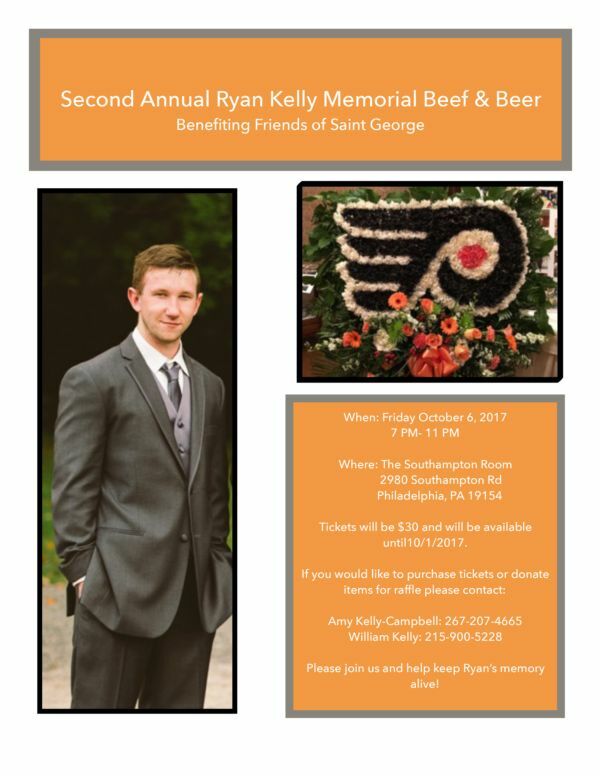 UFCW Local 1776 Members, We would like to take a moment to remember UFCW Local 1776 Acme Markets member Ryan Kelly, a bright young man that was tragically killed in a senseless act of violence on his way home from work over a year ago and would like to invite you to a celebration in honor of his life. Yesterday, the Pennsylvania House of Representatives failed to meet their constitutional obligation to fund the Pennsylvania State Budget and instead, passed a phony and irresponsible budget revenue package that does not adequately fund our schools, keep our roads, highways and bridges safe, or provide necessary funding for various state and human services that all Pennsylvanians benefit from. Equifax, one of the nation’s three major credit reporting agencies, has reported a major breach, which lasted from mid-May-July of this year. If you have a credit report, there is a good chance you are one of the 143 million American consumers potentially affected by this breach. To our UFCW Local 1776 Family: After rumors swirled over the weekend, US Attorney General Jeff Sessions spoke out yesterday and officially announced President Trump's decision to rescind the Obama-era DACA Executive Order. DACA (Deferred Action for Childhood Arrivals) was put in place in 2012 by the Obama administration, and currently protects some 800,000 individuals in the United States. 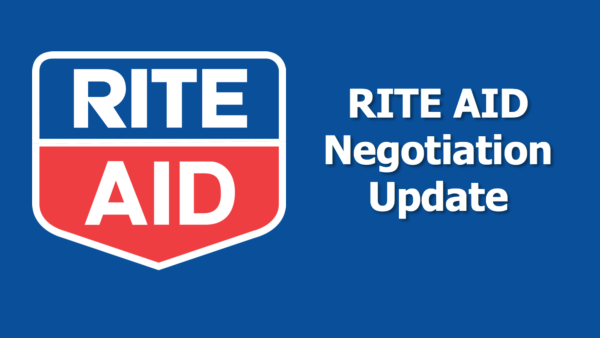 Rite Aid Members, Please be advised that contract ratification meetings have been scheduled for all Rite Aid members as follows: Thursday, Sept. 07, 2017 6:00 pm UFCW Local 1776 3031A Walton Road Plymouth Meeting, PA 19462 Monday, Sept.
Dear UFCW 1776 Family, We are incredibly saddened by the events that took place on Saturday in Charlottesville, VA. Tragedy struck in the form of a heinous and blatantly racist attack on the American people. Hundreds of white nationalists descended onto the city with torches and guns for a "Unite the Right" march. UFCW Free College Benefit UFCW members, check this out! Thanks to UFCW’s Free College benefit, you can now earn an associate degree online through Eastern Gateway Community College. 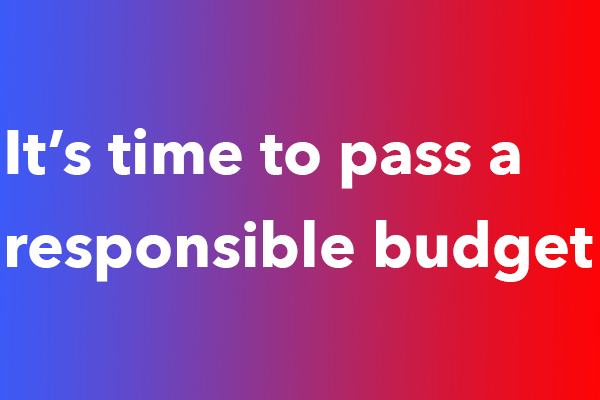 Dear PLCB member, The spending portion of the state budget was passed by the General Assembly on Friday, June 30th. However, lawmakers will be returning this week to consider revenue options on how to pay for this year’s state budget plan. PITTSTON - (06/16/2017) As was reported in our May 2017 Negotiation Update, our first bargaining sessions with your Company were held on June 14th and 15th at the Local 1776 Northeast Division Offices in Pittston, Luzerne County. 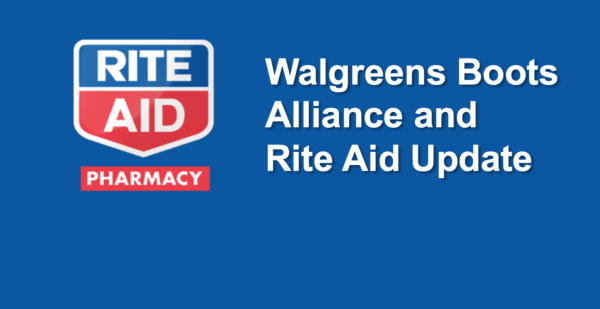 At that time, your Bargaining Team presented a comprehensive contract proposal to Rite Aid. ShopRite Members Secure a New Union Contract! PLYMOUTH MEETING – (05/25/2017) ShopRite members overwhelmingly ratified a new contract. 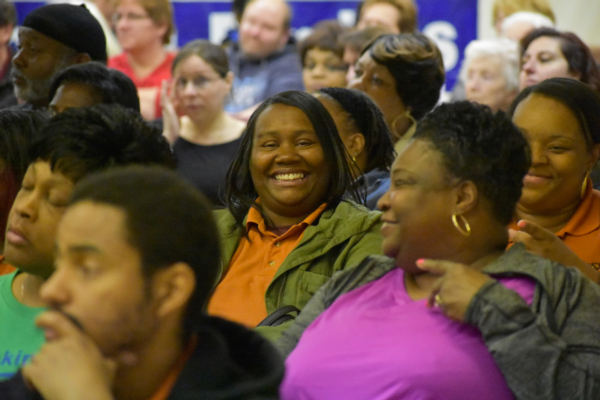 On Thursday, more than a thousand UFCW 1776 members from Ammons, Browns, Colligas, Collins, R&R, Zallie’s and Cowhey ShopRites, filled the Union Hall to hear the latest on their contract at two meetings. 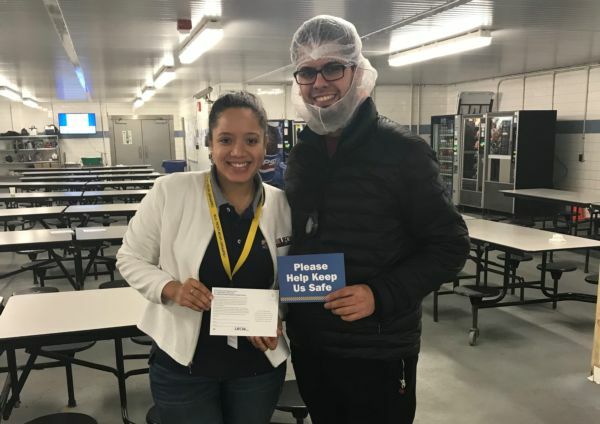 UFCW Local 1776 held meetings on May 19th, with Mission Food employees to discuss the latest status of contract negotiations with Mission Foods. On Monday, May 8, 2017, Walgreens Boots Alliance and Rite Aid jointly notified the Federal Trade Commission (FTC) that they have complied with the agency’s additional request for information related to the proposed merger. Mission Foods Mountain Top gets 9 New Shop Stewards! Shop Stewards are a source of information about the Union and are also your first line of defense on the job if you are facing discipline or any adverse treatment. The Stewards listed above have received extensive training from Local 1776 on how to represent you in the workplace, and you should feel confident in their abilities. Your Shop Stewards have the right under federal law to represent the interests of their co-workers, without Company retaliation or discrimination targeted at either them or you. 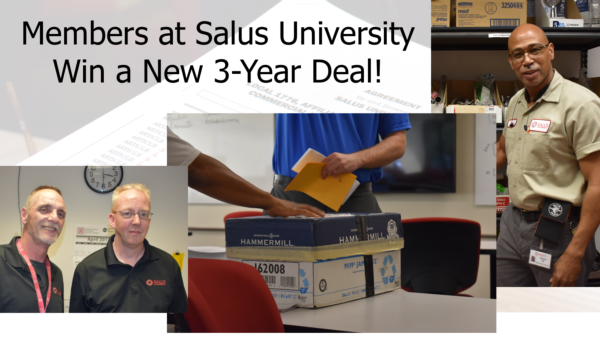 Congratulations Salus University members on a new three-year agreement which was overwhelmingly ratified this evening! President Young and Local 1776 would like to thank the bargaining committee for the hard work it took to achieve this agreement. If Salus members have any questions. Please contact Local 1776 Representative Barbara Johnson at 610-940-1842. House Committee Votes on two Liquor Bills; Contact Your State Rep. Today! 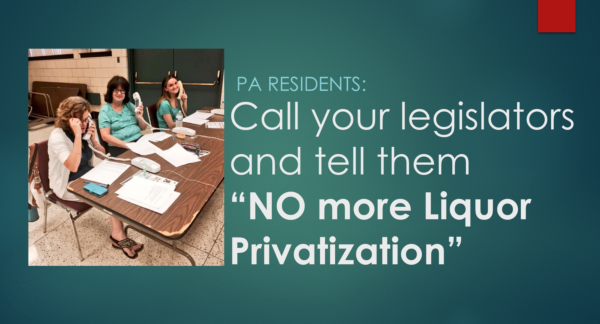 HARRISBURG – (4/06/2017) On Monday, April 4, 2017, the Pennsylvania House Liquor Control Committee voted on two liquor privatization bills: House Bill 438 and House Bill 991. Despite short notice, Local 1776 members filled the meeting room where the vote took place, and policymakers throughout the Capitol complimented Local members for their activism. HARRISBURG – (3/30/2017) President Wendell W. Young, IV was a guest on WITF's Smart Talk to discuss the problems with wine and liquor privatization in Pennsylvania. 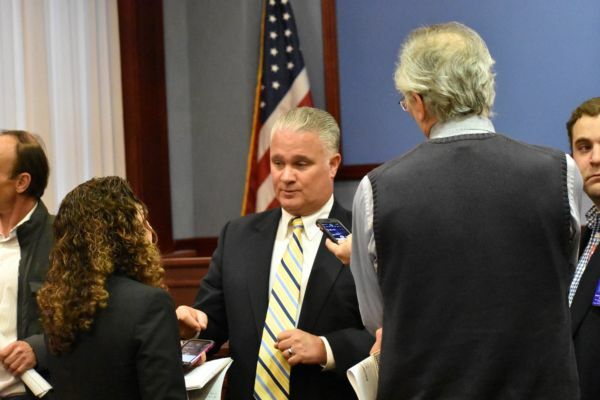 Currently, the PA House of Representatives, led by Rep. Mike Turzai (R-Allegheny), is considering a few different bills which would lead to an expansion of liquor and the problems it causes. 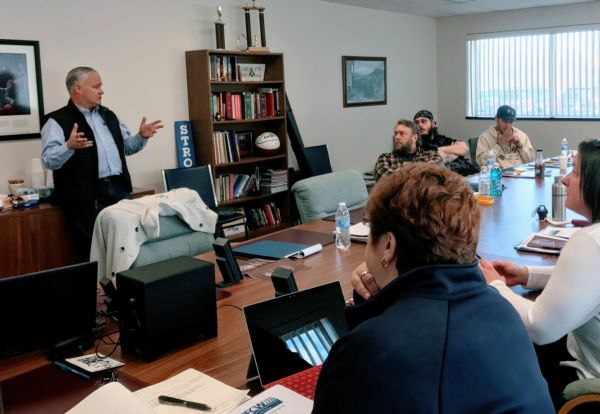 PITTSTON – (03/29/2017) UFCW 1776 invests heavily in educating stewards because the Local recognizes how important it is for our members to have the best representation possible. 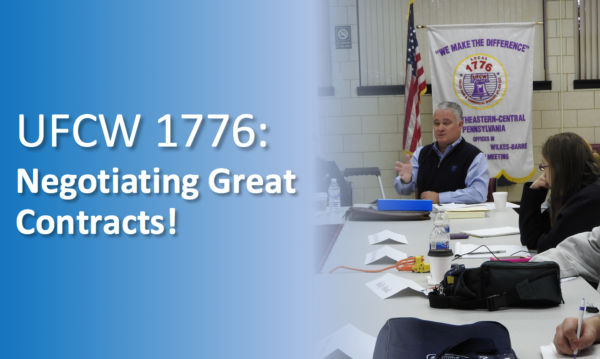 UFCW 1776: Negotiating Great Contracts! 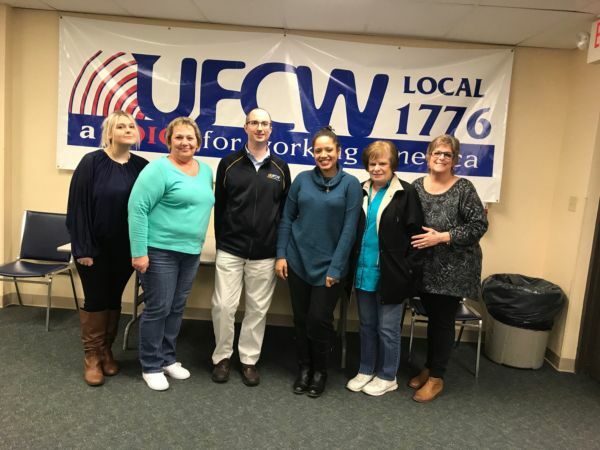 PLYMOUTH MEETING – (02/16/2017) With UFCW Local 1776, members have a voice in their workplace through a union contract. The contract is negotiated by members with their employers. Working conditions, pay and many other aspects of employment are spelled out in the agreement. Tell Your Senator: NO Paycheck Deception! HARRISBURG – (01/29/2017) Now is the time to tell your state senator union busting is not OK! In Harrisburg, politicians, influenced by outside money from billionaires, want to take away your voice. 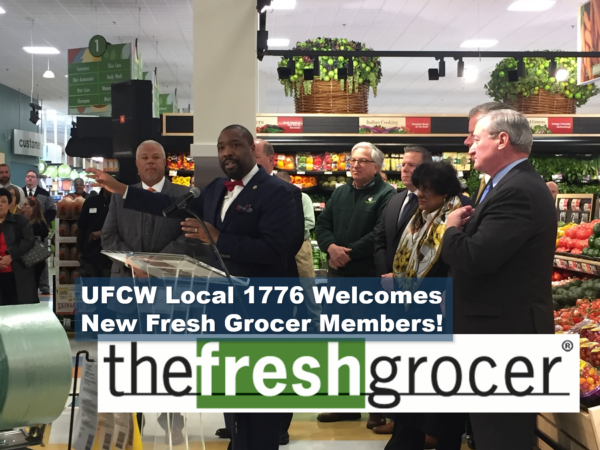 Today, anti-union "paycheck protection"
UFCW Local 1776 Welcomes a New Fresh Grocer! PHILADELPHIA — (12/08/2016) Many people in Philadelphia woke up with a new union supermarket to shop at. This morning, Burns Family Fresh Grocer opened their doors at 3021 Grays Ferry Ave in Philadelphia. UFCW Local 1776 Welcomes our 3rd Fresh Grocer and we look forward to representing the many new members who work there. 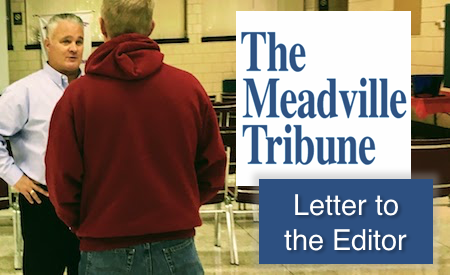 MEADVILLE – (12/02/2016) The recent complaints from representatives of the distilled spirits industry (“Liquor system changes could lead to markups,” Nov. 22) about the Pennsylvania Liquor Control Board’s new flexible pricing policy show the true concerns of those industry members: themselves. 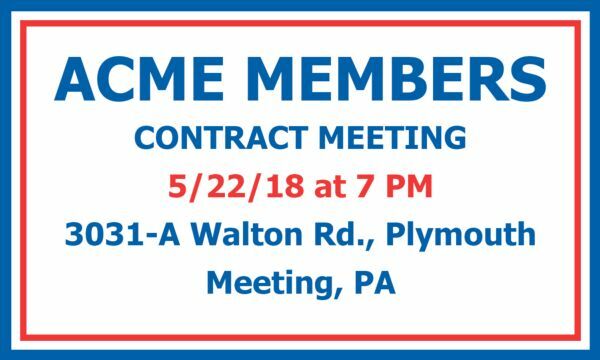 Acme Members, UFCW Local 1776 KS will be holding an Acme contract meeting on Tuesday, May 22nd for all Acme members to review the current status of Acme contract negotiations, and to vote on the latest Acme contract proposal. This vote may include a strike authorization. 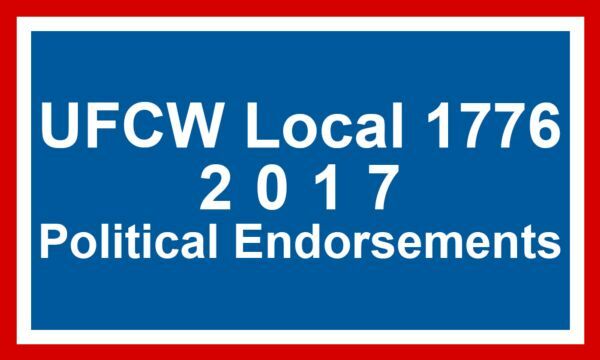 UFCW Local 1776 KS Primary Election Endorsements! Special Election Endorsements – PA House District 48: Clark Mitchell (D) District 178: Helen Tai (D) Endorsements for Democratic Primary Governor Gov. 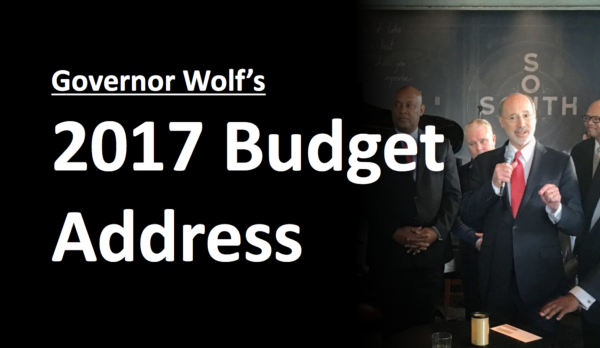 Tom Wolf Lieutenant Governor Lt. Gov. 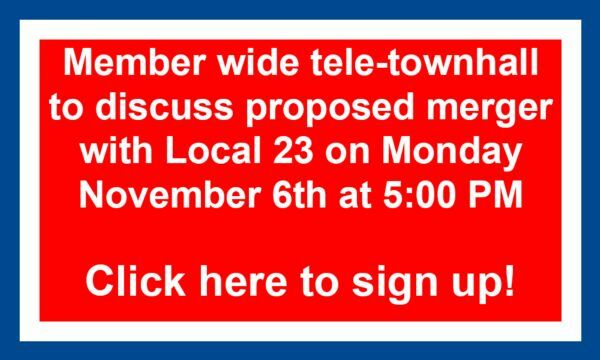 Mike Stack US Senate Sen. Bob Casey US Congress District 2: Rep.
UFCW Local 1776 Members, Local 1776 will be holding an all member tele-townhall on Monday, November 6th at 5 pm to talk about the proposed merger with Local 23. Members will hear details about the merger and have a chance to ask questions. The tele-townhall will be on Monday, November 6th at 5 pm. To register for this event, please visit ufcw1776. Please go to the following link: https://www.docusign.net/member/PowerFormSigning.aspx.